Garden equipment manufacturer Hozelock, are well known for their reputation for innovation, quality and good value. 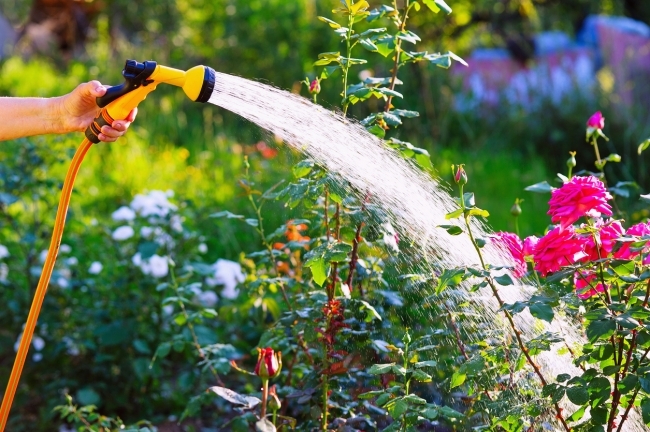 Based in Birmingham, Hozelock has a comprehensive range of products that cover garden watering, garden pressure sprayers, and pond equipment. Historically, Hozelock had been electronically exchanging invoices and orders with its customers for over 20 years, using an on premise, third party EDI solution. However, the company was finding it increasingly difficult to accommodate forever changing customer requirements. Each time there was a change in a customer requirement, the solution needed to be reconfigured by Hozelock’s IT department. It was felt that this was an unnecessary drain on resources that would be best used elsewhere, so they turned to TrueCommerce for support. The fact that TrueCommerce OneTime is an outsourced solution was an important factor in Hozelock’s decision making process as it means that they require no hardware, software, database, integration tools nor do they need to invest in major internal project teams or maintenance. In addition, TrueCommerce already had connections into most of Hozelock’s customers which allowed for a quick and low risk transition. Hozelock implemented TrueCommerce’s fully managed B2B electronic trading solution, OneTime, to rapidly respond to its customers electronic trading mandates, while freeing up valuable IT resources. OneTime has played a critical part in helping Hozelock meet the service levels targets set by its customers. The OneTime solution was integrated with Hozelock’s ERP system, which was another important factor in the decision-making process. The solution seamlessly integrates into the company’s back office system, enabling files to be imported and exported directly to and from customers. Initially, the company was using the solution to communicate with nine customers, and this has now been extended to sixteen. Some of the additional customers that are now using the solution have nonstandard requirements, which would have proved to be particularly difficult to accommodate with the company’s legacy system, however with OneTime, TrueCommerce handled the complete on boarding process, allowing the IT team to focus on their core responsibilities. It was this ability to easily add new message types and customers that led to the decision to outsource their electronic trading to TrueCommerce. OneTime has allowed Hozelock to consolidate their current customers onto a single EDI platform whilst also allowing them to meet electronic trading mandates from new customers without the need to develop, maintain and support an internal integration/mapping solution. Hozelock now connects to sixteen of its major customers through TrueCommerce, which accounts for 70% of the company’s UK turnover. It is the company’s aim to eventually connect with all their customers using OneTime.